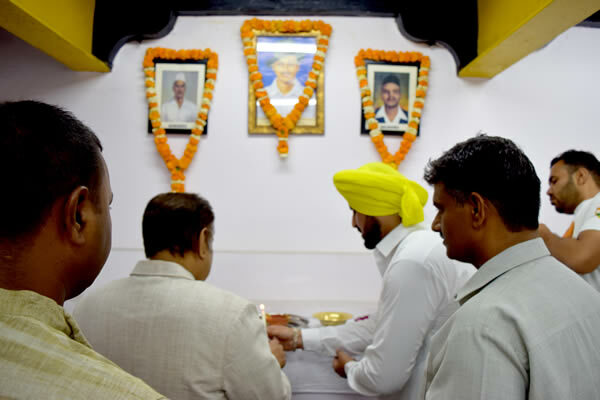 Mr. Yadvinder Singh Sandhu, Grand Nephew of Shaheed Bhagat Singh, President, Shaheed Bhagat Singh Brigade and Chairman, Haryana Youth Commission along with his associates visited the Viceregal Lodge on 11.04.2019 to pay homage to great martyrs. 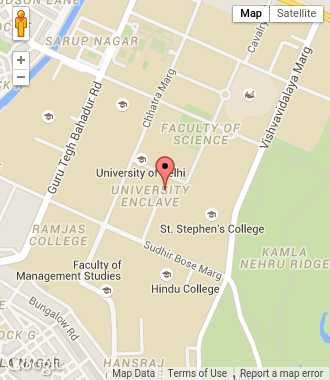 Professor Yogesh K. Tyagi, Hon’ble Vice-Chancellor, University of Delhi welcomed the delegates. Mr. Yadvinder Singh Sandhu thanked the Hon’ble Vice-Chancellor for perpetuating the legacy of Shaheed Bhagat Singh and also disseminating it among Youths. 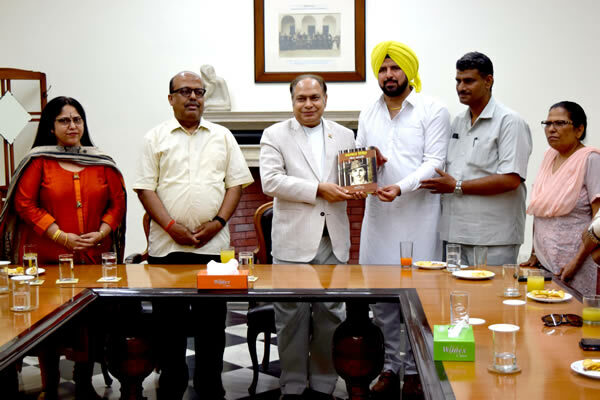 Mr. Yadvinder Singh Sandhu presented the Jail Diary of Shaheed Bhagat Singh which has been published by him. He showed his concern about distortion of Shaheed Bhagat Singh’s legacy. He emphasized that students by reading his Jail Diary can draw inspiration and also learn a lot. The delegation along with Professor Yogesh K. Tyagi visited the Chamber of Shaheed Bhagat Singh. Floral homage was given and two minutes silence was also observed. It was a memorable day for everyone. Present on the occasion were Professor Tarun K. Das, Registrar, University of Delhi, Professor Pami Dua, Dean Research Council and Dr. Payal Mago, Joint Dean-Colleges, University of Delhi.